Another Wednesday is here, which means that it’s time for lots of Google app love. We first saw the release of the Google Now Launcher earlier today for Nexus and Google Play Edition devices, and now are seeing a substantial update for the Google+ app. The update includes a few new enhancements for you photographers out there among a couple basic bug fixes. It’s easy to see that this update is entirely centered around photos, with every single one of the enhancements designed to make the lives of picture aficionados a tad bit simpler. 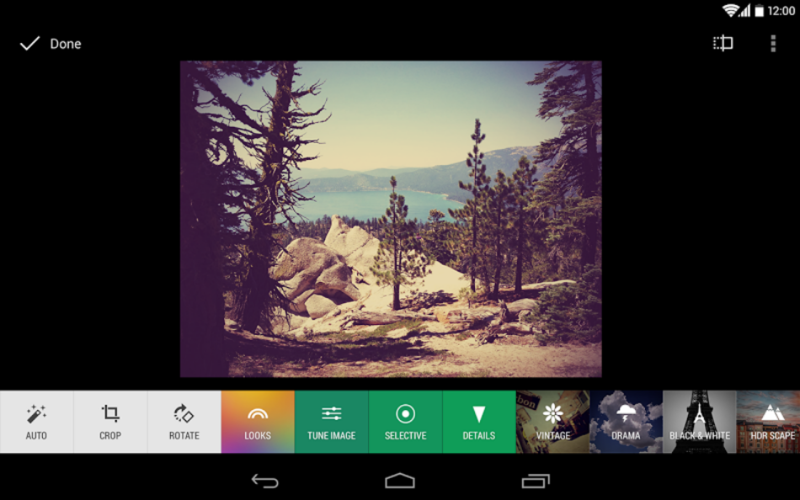 The additions include the ability to begin editing a picture on one device, and then carry on or start over on another, new filters and tools (a la Snapseed), and enhancements for viewing and finding your photos. Non-destructive photo editing across devices Starting today you can start your edits on one device, and continue (or start over) on another. This means you can backup full-resolution photos from your desktop, edit them in seconds on your phone, then add some finishing touches from your tablet. (And you can revert to your originals at any time!) The technical term for this experience is non-destructive editing in the cloud, and we think you’ll really enjoy it. Brand new filters and creative tools Now when you edit your photos, you’ll have a powerful set of tools (like crop and rotate), 1-touch filters, and Snapseed-inspired enhancements (like Drama, Retrolux, and HDR Scape). Mix and match to make your photos look their absolute best. A single view of all your photos The new ‘All’ view displays your entire photo library — whether it’s on your current device, or backed up in the cloud. If your library is really large (> 10s of thousands of photos), the app won’t show all your photos initially. But stay tuned, because we’re supporting larger and larger libraries over the next few weeks. An easy way to browse your photos by date In addition to search, there’s now another way to find your photos fast. Just swipe through your photos in the ‘All’ view, and look for the scroll bar on the right. Dragging the scroll bar up or down will quickly move you forwards or backwards in time. The update is now available for free on Google Play as version 4.3, but sit tight as this staged rollout may take a while to show up for you. Update: If you want to sideload the v4.3.0.62152090 apk, download it here.